Have you brought your family to church? We welcome every member of your family and hope that coming here makes you all feel part of the bigger family of God’s church. Going to church with a family shouldn’t be an ordeal! If you come along with children we’d like to say a very big welcome and congratulate you on managing to get here! 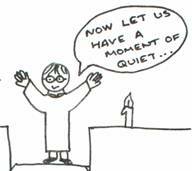 All-age communion: On the first Sunday of every month at 10 am we have a communion service with a sermon that involves the children. The Youth Choir sing at this service. Family service: On the third Sunday of every month we have a Family Service at 10 am. It lasts about 40 to 50 minutes, and aims to involve children of all ages, as well as adults. Junior Church: On the 2nd and 4th Sundays of the month in term time, Junior Church meets in St Andrew’s Hall during the 10 am Parish Communion service. After time all together, we divide into age-appropriate groups suitable for children aged 0-18 – new faces are always welcome! You may also be interested in Church Mice, a group for babies and toddlers with their parents and carers. It meets at St Andrew’s Hall on Thursdays, 9.15–11.15 am, and includes a Toddler Service in church on the first Thursday of the month (10.30 am). Please contact Dorothy Peyton Jones for details. Children are especially welcome at our 10 am services and there is always the children’s area in the north aisle with books and toys if they get bored. We’ve tried to provide quiet toys, but don’t worry if your child enjoys playing with them and makes a bit of noise. You’re welcome to use the toys in the area or take them back to your pew. 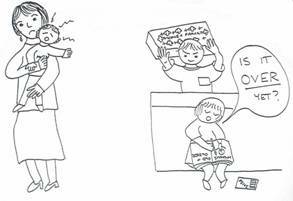 Please don’t feel you should take your baby out of church if s/he gets hungry. Nobody will mind (or notice) if you feed them during the service. All our children’s workers have been cleared to work with children in line with the Diocese of Ely’s recommended practice.